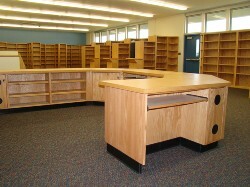 Five years ago we have completed renovation on a new library. This combined with newly released California School Library Standards has lead us to envision a new future for our school. 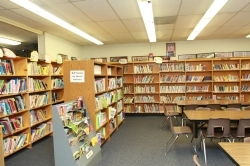 We have set the goal of becoming the first school in California to fully implement the school library standards. This includes having 28 books per student in the library, having a paraprofessional present for three hours daily, and using research and technology standards to inspire our students. To teach these standards, we will use books, technology and creative exploration that are part of the Rowland Unified School District Mission Statement. Students who can effectively and efficiently access the many types of information available will be empowered to better reach their unique potential now and in the future. To achieve these goals, the library needs your help. Donations are being accepted to help with the purchase of technology and books. Please contact our librarian Mrs. Schaffer to contribute.